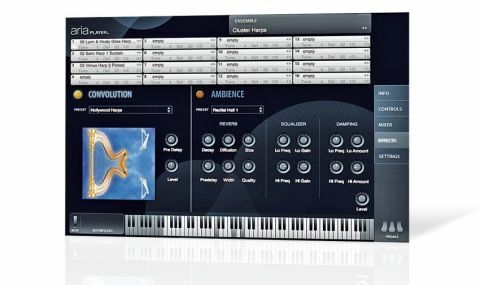 A hugely convincing virtual guitar/guitarist, beautifully recorded and sonically editable enough to easily make your own. Adding to its now four-strong lineup of guitar emulations, Amplesound's Ample Guitar M is a massively multisampled Martin D-41 guitar ROMpler (VST/AU/standalone) housed in the developer's own feature-packed engine. Weighing in at 6GB, it features separate soundsets for fingered and picked playing styles, all recorded from two balanceable mic positions, with two stereo and two mono global playback modes. Pretty much every element of the sound is adjustable, from the resonance and release to the fret noise and velocity sensitivity, while the "rhombic sampling structure" varies the sample playback from note to note for humanisation. The automatic doubling option uses different samples for the left and right channels, with control over their spacing, and a board of eight effects pedals offers compression, delay, overdrive, EQ, chorus, phaser, reverb and wah-wah. They sound pretty good, too, although they're ported directly from Amplesound's electric guitar sims and thus aren't entirely appropriate for this more delicate acoustic. Keyswitches are used to shift between articulations, which include Sustain & Popping, Palm Mute, Hammer On, etc, and full control is given over to string choice and capo positions. Not only can you play AGM via your MIDI keyboard, it also has a powerful built-in sequencer called the Strummer. Using this, you can construct your own strum patterns to an exquisite level of detail and use keyswitching to move between up to 12 user-defined chords, each with 28 predefined playing modes. It's staggeringly deep and flexible, yet manages to remain reasonably intuitive. The online manual, however, is a bit of a disaster, making learning how to use the thing more hassle than it needs to be. Other than that, AGM is without doubt one of the best guitar ROMplers we've had the pleasure of using.